IIST Admission 2019: Indian Institute of Space Science and Technology, Kerala has released the notification for IIST Admission 2019. The official brochure will be available on 7th May, 2019. The institute will grant admission under various disciplines of B.Tech course. The Admission of IIST 2019 will be entirely based on the JEE Advanced 2019 score. The admission authority will not conduct any entrance examination. Applicants can start their registration from 22nd May, 2019 till 5th June, 2019. Candidates are advised to go through the Eligibility Criteria of IIST B.Tech Admission 2019 before registering themselves. Only eligible aspirants will be allowed to fill the Application Form. The concerned authorities of IIST Admission 2019 will publish the Merit list which will contain the names of qualified candidates of JEe advanced 2019. For these applicants, the authority will further release the Cut-off. Applicants who will have a score above this cut-off will be called to participate in the Counselling process. The counselling will be conducted in online mode and seats will be allotted to aspirants based on the merit list, preference, and availability of seats. Candidates who will be allotted a seat need to confirm the B.Tech Admission of IIST 2019. Applicants who wish for IIST Admission 2019 have to meet the prescribed Eligibility Criteria. Thus, only eligible candidates will proceed to fill an Application Form. The eligibility criteria will contain terms and conditions that are required for Admission of IIST 2019. Candidates who fail to meet these criteria will fail to apply for admission. The birth date of candidates belonging to General and OBC category must fall on or after 1st October, 1994 and candidates belonging to SC, ST and PH category must have born on or after 1st October, 1989. Applicants must have studied Physics, Mathematics, and Chemistry in class 12th or equivalent examination. Aspirants belonging to SC and ST categories must score an aggregate of 65% in 12th standard or equivalent exam. The candidate must have qualified JEE Advanced 2019. 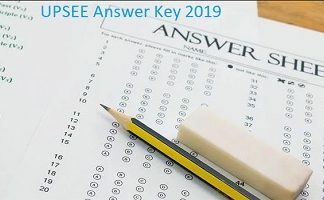 Candidates belonging to General category must obtain 72 marks out of 360 in JEE Advanced 2019 while OBC-NCL candidates must obtain 65 marks and SC/ST/Ph candidates must obtain 36 marks. For filling the application form, candidates have to first register using their date of birth JEE Main roll number. Upon successful registration, applicants have to fill the application form with personal, academic and communication details. These details must be valid and correct. After filling all the details in the Application form of IIST Admission 2019, candidates need to deposit an application fee. This fee will be deposited via online mode through SBI-Collect and it will be not refunded under any circumstance. Aspirants also have to fill the choices of B.Tech branches and institutes as per their preference and interest. These choices must be in order or priority. The choice filling will be necessary for every individual desiring for Admission of IIST 2019. Candidates having higher marks in Mathematics will be given preference in the Merit List. If the tie still exists then candidates having higher marks in Physics will be given the preference. If the tie still remains then candidates who have scored higher in JEE Main 2019 in a particular category will be given the preference. Indian Institute of Space Science and Technology, Kerala will release the Cut-off for IIST Admission 2019. This cut-off is the minimum marks required by an aspirant to be eligible for admission. Candidates who score equal or above the released cut-off will have a higher chance of getting B.Tech Admission of IIST 2019. The cut-off will vary according to the category of applicants and branch selected by applicants. Candidates who meet the cut-off released by admission authority will be able to participate in the Counselling process for IIST B.Tech Counselling 2019. The authority will also release the list of shortlisted applicants in the pdf format. During the counselling, seats will be allotted based on the availability of seats, choices filled and rank in the merit list. Candidates have to pay fees for confirming the seats, allotted to them and they also have to select the centre for verification of documents.